Much of the credit goes to Mia Maltauro, my niece, who took the trouble to copy this tree by hand since we were unable to risk taking it out of it's frame to photocopy. On the original a knight stands in the middle of the tree. I have replaced the image with a stylized view of my grandfather, Ludwig Brahm. Click onto the tree for more background. 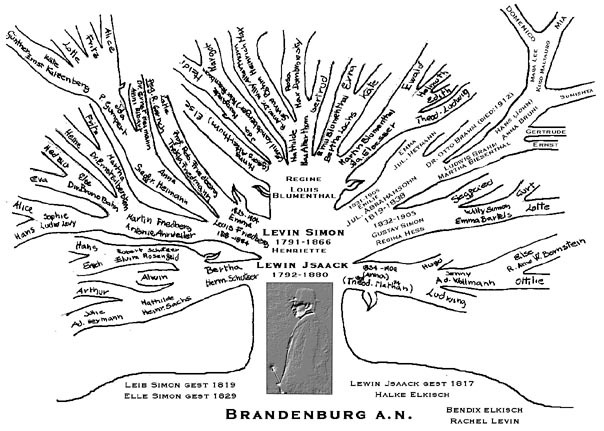 If you find any of this helpful in your hunt for your family background or if there is any light you can shed on further background or lineage of the Brahm family, I'd be interested to know about it too.